Encapsulating your crawl space is a great way to get rid of multiple crawl space problems and create a dry, healthy environment that requires little maintenance. You have enough to worry about with the rest of your home, so take advantage of encapsulation to be worry-free when it comes to maintaining your crawl space. 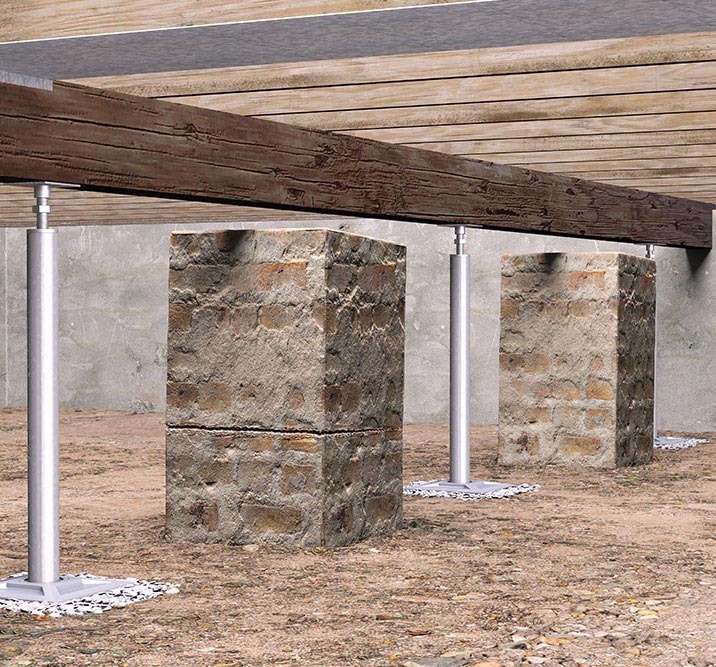 At Total Foundation Solutions, we have provided crawl space encapsulation solutions for our customers for over 30 years. Our crawl space experts have installed many encapsulation systems in homes across Northwestern Pennsylvania and Western New York. Crawl space encapsulation comes with many different benefits. Since crawl spaces are typically “out of sight, out of mind” for most homeowners, encapsulation provides an easy solution to keep your crawl space healthy with minimal maintenance. Encapsulating your crawl space can quickly eliminate the ability for mold to grow. We install a completely waterproof barrier that keeps all moisture out and gets rid of any potential mold growth. The waterproof barrier also prevents any musty odors from forming in your crawl space since it creates a completely dry, mold-free, and odor-free environment. Not only does this protect the air in your crawl space, but also protects the air in your home. Bugs and pests love to live in dark, damp places. Encapsulating your crawl space creates a bright, dry, healthy environment that becomes inhospitable to them. If you notice an increase in unwanted guests in your crawl space, an encapsulation system will quickly force them to find another home. As an added bonus, an encapsulated crawl space creates much more storage room for you and your family. The waterproof barrier will protect your belongings from water damage and prevent unwanted pests from damaging your belongings. A lot of homeowners with an encapsulated crawl space use the extra space to store outdoor equipment or gardening tools to free up garage space. Notice cold floors inside your home? Crawl spaces have very little insulation on their own, which can be difficult to control temperature and cause cold floors inside your home. To help save on your energy bills, consider crawl space encapsulation to maintain temperature control. Our crawl space encapsulation systems can typically be installed in 1-2 days. Our team at Total Foundation Solutions has fine-tuned our processes to provide our customers with a complete, quality encapsulation system. One of the first steps is to seal off all vents or any spaces that allow outside air to enter the crawl space. Depending on your crawl space’s situation, this may require installing airtight doors and vent covers. If this step is missed, it could allow humid or cold air to enter your crawl space underneath the vapor barrier. Removing any existing water problems is imperative before installing the encapsulation system. You want to make sure any standing water or waterproofing issues are taken care of before the encapsulation system is installed. If your crawl space has structural issues, you want to make sure those are repaired before the encapsulation system is installed. At Total Foundation Solutions, our team installs the WhiteCap Crawl Space Encapsulation System. This system includes a vapor barrier that is extremely durable, waterproof, and puncture-proof. It is designed with multiple, heavy-duty layers that provide complete protection against water or any other damage that a crawl space faces. It is one of the top products on the market for crawl space encapsulation and we proudly offer it to our customers. Rely on Total Foundation Solutions for your crawl space encapsulation needs. We only offer our customers the best products on the market and can quickly install within 1-2 days. Customers throughout Northwestern Pennsylvania and Western New York have benefitted from our crawl space services for over 30 years, and we’re ready to help you. Contact us today for your free crawl space encapsulation estimate!